A house on the shore of Lake Ontario was completely encased in ice after cold weather hit New York State. 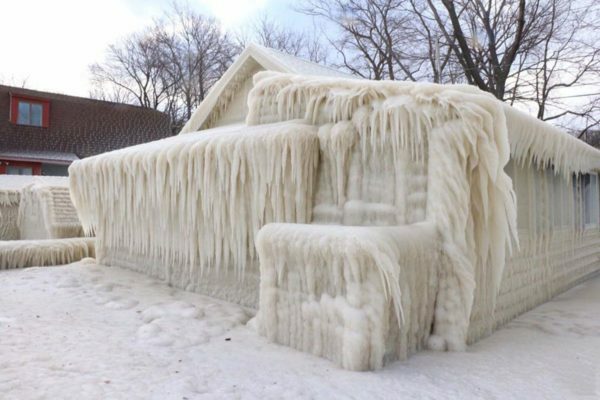 The home was captured by a local photographer after being battered by water whipped up from the lake by freezing winds. John Kucko said many people on social media refused to believe the images were genuine. The photographer said he was “amazed at how many people think I sprayed foam on the place” and posted video footage as proof. A frigid windstorm last week in New York was strong enough to knock out power to tens of thousands of people. Many were still without power days later. The state remains subject to a blizzard warning from the US National Weather Service, with 12 to 20 inches of snow expected in New York City and surrounding areas on March 13 and 14.